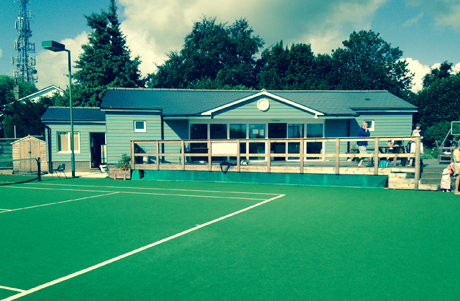 The main venue for 6love tennis coaching is Amherst LTC, Hastings. The club has 7 outdoor courts, 5 all weather and 2 macadam. 5 of the 7 are floodlit and there is also a hitting wall which is perfect for personal practise. The club has a new clubhouse pictured to the right which opened in October 2013. It boasts a large social area, male and female changing rooms, disabled facilities as well as a fully licensed bar. Club membership is available for juniors and seniors and starts from £30 per year. As part of club membership players will receive keys for the club so they can gain access at any time. For more club information please visit www.amherstltc.co.uk.